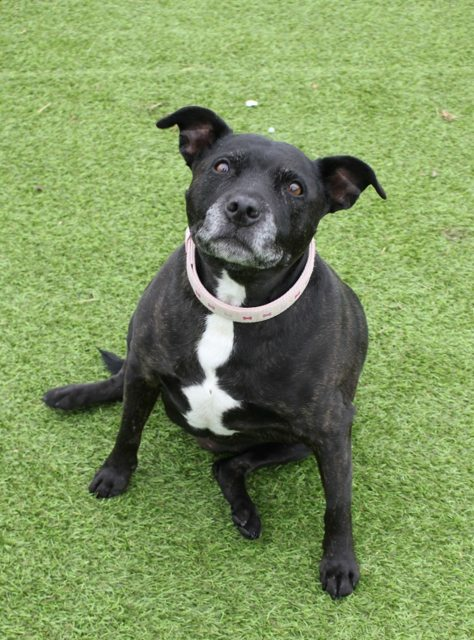 Mika is a 11 year old female Staffordshire Bull Terrier. Beautiful Mika was rehomed from us back in 2016 but has sadly been returned to us as her owner has had to move into accommodation that does not allow pets. 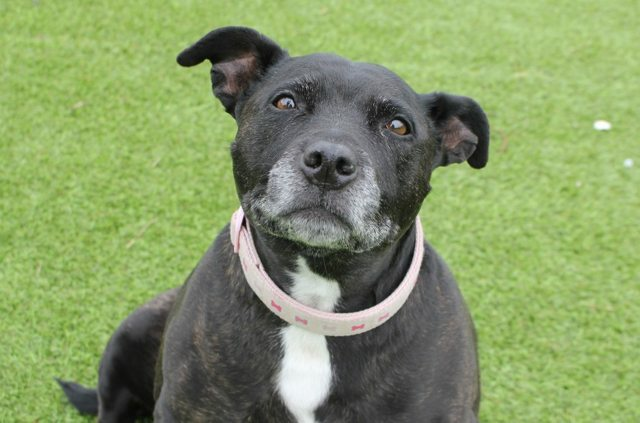 We are devastated to see this lovely girl back in kennels. 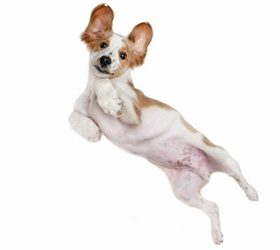 Mika is such a sweetheart, she adores everyone she meets and is a happy-go-lucky girl. She has never really been around young children so would be best suited to a home with teenagers/adults only. She is happy to be left alone for a few hours and spends the time sleeping. Mika originally lived with another dog in the past, however she can be reactive towards other dogs on a lead and will need to be the only pet in the home. Mika has come back to us quite overweight and has suffered with leg problems in the past so will not be suitable for an active home. She is currently on a diet and we are slowly building up her walks. She will require supplements for the rest of her life. Mika will make a fantastic friend and would suit a quiet home perhaps with a retired couple. She desperately deserves a second chance at happiness.